Being such a broad field and with so many applications in the real word, design doesn’t make it easy for the students trying to master it. Things start to get even harder when one realises that it takes knowledge, skill, practice and experience to become a good designer. Beside this, one has to become resourceful in at least a couple of design tools. It helps students optimize their workflow, while enabling them to use features that make creating their breathtaking designs so much easier. With learning resources scattered throughout the Web, things don’t get any easier. This is why we have created a list of essential tools and resources to help you learn web design. First, and foremost, let us introduce you to the most common software choices among web designers. The chances are you are going to end up using at least one of these tools on a daily basis. Adobe Photoshop is definitely one of the commonly used tools out there. It is so powerful that even web developers quite often stop by to use some of its extensive features. It is very often used for image editing and graphic design, and in creating digital art. What makes this tool so useful? It will enable you to leverage the power of layering. A technique that will help you by adding flexibility and depth to the design process. With so many features at your disposal, you will be able to do anything with this tool. Adobe illustrator is yet another powerful tool from the Adobe Creative Suite toolbox. This program is used for creating vector images and it is quite popular among both graphic designers and artists. Adobe Illustrator is commonly used for creating logos, diagrams, illustrations, charts, and so on. 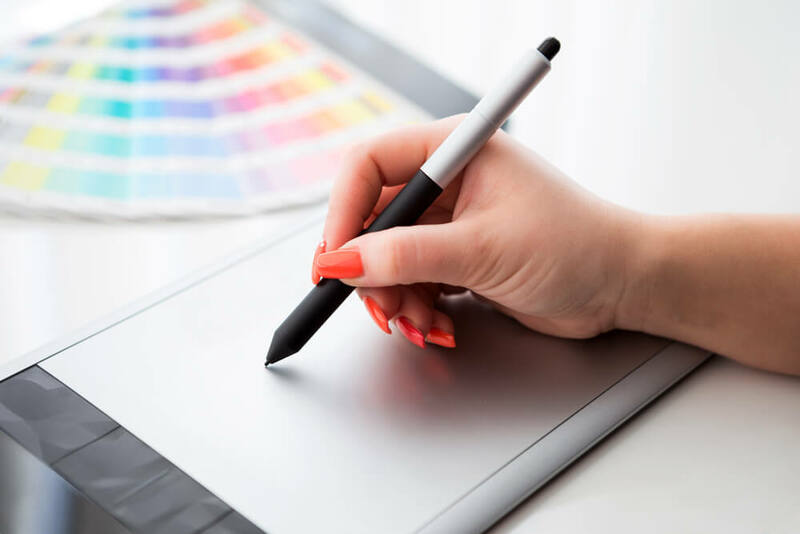 You should know that mastering the Adobe Illustrator is not easy, but once you get comfortable with its features, you will be able to create clean and beautiful designs that can be scaled up to any screen size. A perfect tool for web designers who have to deliver graphics ready for responsive web design. As we all know, your logo is key to your brand and is a web design essential that can make or break your site. Hatchful is a free logo creator from Shopify that allows anyone to create a professional, high-resolution logo in a few clicks. When it comes to the design toolkits developed to help designers track their workflow starting from the idea to the final product, the Sketch App offers the most features and versatility. The powerful features will enable you to reuse your old designs, which saves a lot of time and optimizes your workflow. All the graphics that you create and design are stored in the vector format, the same as Adobe Illustrator does. This is very convenient for web developers who have to deliver solutions that look beautiful on all screen sizes. Learning web design theory doesn’t resemble the learning of standard theories. Why? Because the best practices and trends constantly shift. Besides, your future clients are constantly stepping up their game and they know exactly what they need. This is why you have to make continuous effort to learn it and stay up-to-date with the latest developments. Here is how. YouTube is a huge vault of web design theory. You will be able to hear a lot of old and new information about it from the experts in the field who are selflessly sharing the knowledge with the YouTube audience. While it requires some effort from you in terms of searching for the best channels to subscribe to and checking the email regularly to see if there is a new video uploaded, you will learn a lot of things for free. E-learning is a new online trend. Thanks to it you will be able to learn design by enrolling in the university grade courses and classes. There are, of course, two options to choose from, the free learning websites and premium ones. You can enroll in free courses on platforms such as Coursera and DesignContest, while the top-notch and paid courses await you at Udemy and Treehouse. Before you do enroll, make sure to read the comments and check the rating of the course that interests you. Sometimes to become better at what you do, you have to seek inspiration in other people’s work. Here are some wonderfully designed websites to see how your colleagues did it and, ultimately, help you get inspired. Behance is a great place to discover the creative work your colleagues have produced. If you, at any point, decide to start to build your name and online presence, this platform is a good place to start showcasing your work. Dribble is another website where designers get inspired. This website specialises in featuring designs of its users. Beside this, it also offers the “find a job” functionality for designers. If you decide to showcase your work here, you can also find your first gig as a student of design. 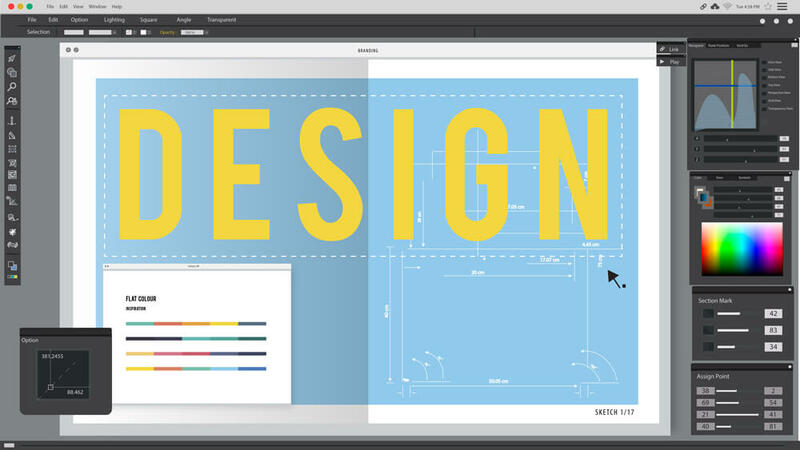 Are you interested in the practical use of your design skills? Design Sponge is great place to hang out on. Beside interior and DIY designs, you will also be able to learn from popular podcasts, read world metropolis travel guides written from the designer’s perspective, and more. Typography plays a huge role in web design, and Fonts in Use is a website definitely worth bookmarking if fonts are what you need. Beside offering you access to an overwhelming font collection, Fonts in Use also has a quite informative and valuable blog section that you should read. In the end, whatever you end up learning, dont stick only to the theory – put that new knowledge into action and create new designs. While practicing, you will not only become better in using your tool of choice, but also learn how to utilize your knowledge to create breathtaking and user-friendly designs. We hope that this list of essential tools and resources will help you to learn design in a more fun and engaging way. Don’t forget to stay tuned to the latest changes and best practices in web design, and never miss a chance to put theory into practice.